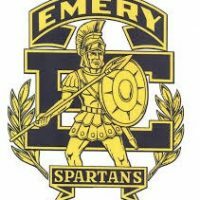 A dominating first half of soccer led to the second win of the season for the Emery Spartans in a 4-0 victory over the Gunnison Bulldogs on the road Tuesday afternoon. Scoring all four goals in the opening half, the Spartans played to a scoreless draw with the Bulldogs over the final period of play. The win moves Emery to 2-2 in the non-region portion of the schedule, setting the stage for division play on Thursday. Abdul Ibrahim found the back of the net twice for the Spartans, running his season goal count to four. Juan Prada and Zac Anderson also scored one goal a piece. Goalie Elias Morris also notched his first shutout of the season. With the four non-region games now in the books, Emery will shift it’s focus to the Region 15 opener on Thursday against North Sanpete. The Hawks have yet to play a contest, region or non-region, so far this year. Thursday’s contest is scheduled to begin at 4:00 p.m.. Following the fourth straight road tilt the Spartans will enter a favorable stretch in the schedule that includes four of the next five games at home.